Type of sensor present: A device, like a door knob, that seemingly has no interest in temperature, might still contain a temperature sensor, placed as a sleeper sensor to be activated much later in the life of the product for purposes not yet imagined at the time of manufacture. Manufacturers wish to keep a degree of secrecy concerning the sensors that are in their products. Sensor degree of precision: This data set logs the degree of precision of a sensor. For example, an accelerometer in a car can be more or less sensitive, which information is, of itself, valuable. A vehicle manufacturer might not want to reveal that its accelerometer is less sensitive than one used by a competitor. Therefore, data concerning the precision of sensors is to be treated as a distinct category of data subject to its own set of confidentiality parameters. Raw sensor data: This is the data collected by sensors in vehicles, fridges, homes, wearables etc… We are having to define who owns this data from its point of origin – i.e. from the sensor onwards. Does the sensor manufacturer have rights in that data even though it is not involved in the larger product being produced? Sensor-device correlation: This data set includes the sensor and the type of device in which it resides. Here the data takes it’s first dive into depth because mere device / sensor correlation triggers a number of safe assumptions and accelerates triangulation on the ‘big picture’ of the subject. For example, windspeed indicator in an airplane is a fact that is, in and of itself, rich. Sensor-subject correlation (objective): This data reveals that the sensor is tracking data for a person, but not the identity of that person. Consider a temperature sensor on a city bus, used to track the temperature of commuters in order to assess the spread of a fever in a community. Sensor-subject correlation (subjective): At the moment, this is the most sensitive dataset, as it connects data to an identified individual. At the moment, this is considered highly valuable as it can be exploited to ‘hack’ the consumer into making one or another decision. Sensor-subject correlation – community-wide: This is really just a large sample of subjective sensor-subject data, giving the controller the ability to peer into the data of a cohort of people and predict community-wide events. Regardless of where your data set resides, it’s important to frame its legal status, otherwise you risk breaching the privacy rights of individuals or giving up commercial opportunities in the data you encounter. At drivebywire.law Adam Atlas and his colleagues are busy parsing the data sets to help document who owns what, no-matter the shade. We have advised hundreds of clients across almost all business models new and old. This site is not legal advice; it is information only. You should obtain qualified legal advice prior to operating any money services business (MSB) or virtual currency business (VCB). In addition to compliance information, we also want to jog your payments innovation creativity through our www.paymentsbusinessideas.com site. We are proud to lead the preeminent open-source payments law practice where sharing information related to payments regulation is one of our core principles. By way of example, here is what we learned at the most recent Emerging Payments conference in Washington, D.C. 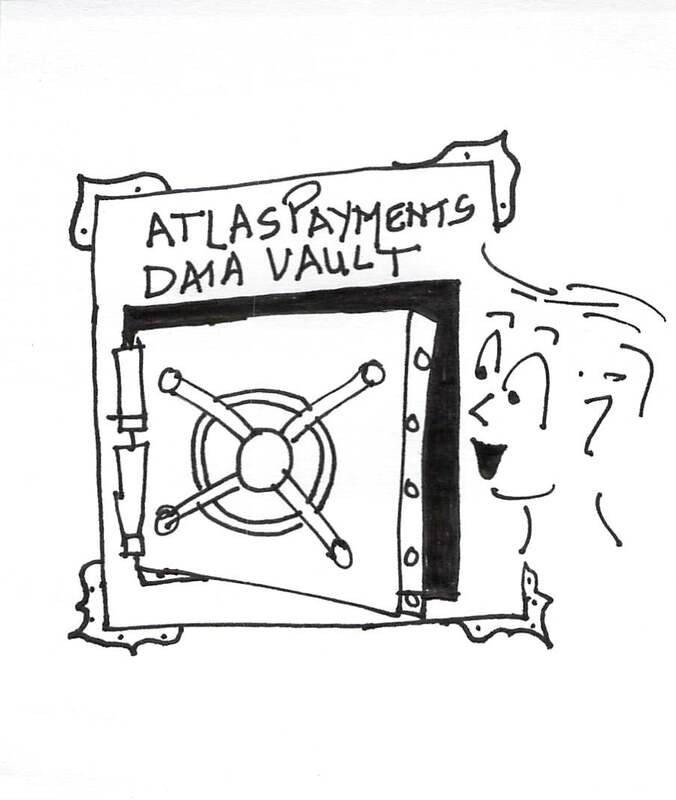 The Atlas Payments Data Vault, a treasure trove of information on regulators, laws, banks, lawyers, consultants, MSBs, VCBs, surety bonders and everything else you are likely to need in getting your payments business going. Adam was perhaps the first lawyer to accept Bitcoin as a form of payment. Visite también nuestro latinoamericano blog de empresa de servicios financieros aquí: Centros Cambiarios y Transmisores de Dinero. Entities that are registered with FinCEN are required to maintain and AML program and make filings with FincEN under the US Bank Secrecy Act. Such filings must be electronic and made through the BSA E-Filing System. If you are an MSB, you must register with FinCEN. If you are an MSB (to be confirmed by advice from a lawyer) after registering a supervisory user, through BSA E-Filing System, you will have to complete a Form RMSB – Form 107. Its hard to find that form on the FinCEN website, so we have provided one here so you can actually read it before completing it online. The online version of FinCEN’s Form 107 is not the same as the one cited above. Here are instructions on how to complete the ‘real’ online version of Form 107. Discussion of these forms are available here. Money services businesses (MSBs) and other financial institutions serving the United States are regulated, in part, by the Federal Bank Secrecy Act (BSA) and its regulations, Chapter X–Financial Crimes Enforcement Network of the United States Department of the Treasury. The Federal Deposit Insurance Corporation (FDIC), maintains a useful set of links to 31 CFR Chapter X. Here is another set of the same US Federal regulations. FinCEN has a collection of published administrative rulings that give us an understanding of some of the rules concerning which kinds of businesses should and which need not register as MSBs with FinCEN. Our firm has published a summary of most of FinCEN’s guidance if you are interested. The BCFPis a U.S. government agency that makes sure banks, lenders, and other financial companies treats consumers fairly. The BCFP requires that as of February 7, 2013, all providers of international remittances issue to the senders thereof receipts that contain certain prescribed information. Payments businesses should monitor BCFP regulation as it may creep into areas of payments that were previously unregulated. Here is a map with basic information for all state MSB regulators. Most states require money services businesses operating within their territory to be licensed with the state banking department. Note that many states also require registration of foreign MSBs that transact with their residents. For example, money transmitters with no physical presence in New York that transact with residents of New York must be licensed in the State of New York. The Nationwide Mortgage Licensing System (NMLS) offers a portal through which many states are cooperating to provide a single portal through which applications for money services businesses may be made. Here is the way to find which states participate in the NMLS system for money transmitter applications. California: Great memo on current CA issues, CA Licensees or Atlas List, there are only about 86. Note that the California DBO site invites potential applicants to arrange for a pre-filing interview. The site is silent on the fact that prior to that interview, the proposed applicant must first submit answers for certain pre-file questions, that are not posted on the site. So, as a first step in California, remember to ask for the latest version of the ‘pre-file questions’ otherwise it will not likely be possible to schedule the pre-filing meeting. South Carolina – yes you need a license here now. 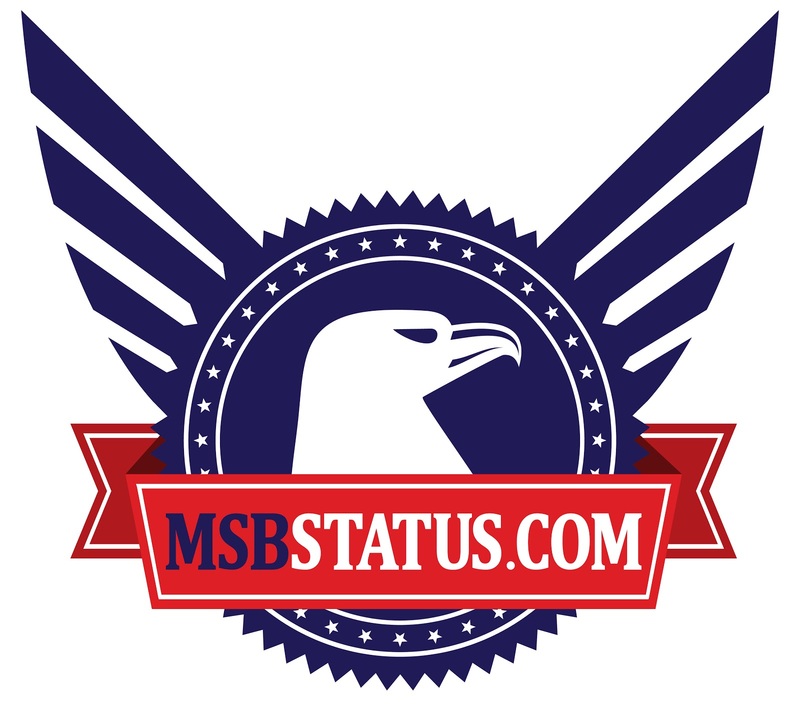 MSBStatus.com is the best source for comprehensive MSB status of any U.S. entity. Alternatively, you can search NMLS and about 25 other sites one by one to fetch the MSB licensure status of an entity. Payment Processor Exemption to MSB Status. If you are wondering about the difference between a payment processor and a money transmitter, please see this chart we did to help explain, The payment processor exemption does not work in all states and does not work for all processor models. Your MSB status or VCB status is a matter of Federal and State law, and should be ascertained by advice from a qualified lawyer. We maintain www.paymentsbusinessideas.com that we hope will jog your creativity and see some models that are MSBs and some that are not. Marketplaces (many of which we list here), being more the norm and less disruptive, are asking themselves if they are MSBs or not on account of their handling money for their participants. Depending on how they are structured, the result will be MSB status or not. Is an E-Wallet a Money Transmitter? FinCEN has finally published guidance on this very issue. This is the single most frequently asked question in MSB compliance today. Some e-wallets are categorized as providers of prepaid access within the meaning of the FinCEN Prepaid Access Final Rule, which is summarized here, while others are registered with FinCEN as money transmitters. The definitive answer to this question lies in the applicable federal and state law in each of the states in which you propose to operate your e-wallet. That said, the ability to: (i) load real currency into an e-wallet; (ii) maintain a balance; (iii) transfer e-currency between users; and (iv) unload e-currency and convert it to real currency, together, would most often fall within what state regulators would characterize as a prepaid access provider or money transmitter. Given that the definition of a prepaid access provider is relatively new (2011), we have only seen a handful of entities claim that that is their primary activity, most of which are classic prepaid branded card issuers or sellers. We recently published an article on the MSB status of e-wallets in the E-Finance and e-Payments Law and Policy. Atlas list of money transmitters licensed in New York and California, there are only about 87 in each of those two states. Google Wallet Money Transmitter Licenses (hard to find in one place). Held by Google Payments Corp.
FinCEN maintains a list of all US registered MSBs, that can be searched here. ApplePay ? (not yet, but with a P2P payments patent, it can’t be long). Technically ApplePay is just a data gateway for the moment. Virtual currency business (VCB) is the term used way back in July of 2014 by the NY DFS to describe businesses operating in the virtual currency space, and it is a term that we believe is likely to stick. A VCB may or may not be an MSB, depending on which law you are interpreting. Banks, investors and consumers are not wasting their time in learning about virtual currencies. Some believe that virtual currency will completely displace traditional ‘real currency’ issued by sovereign states. While that scenario is far flung for now, it is not hard to imagine a near future where a substantial portion of world economic activity takes place through virtual currency. Communication and commerce are international and instantaneous, banking is not. 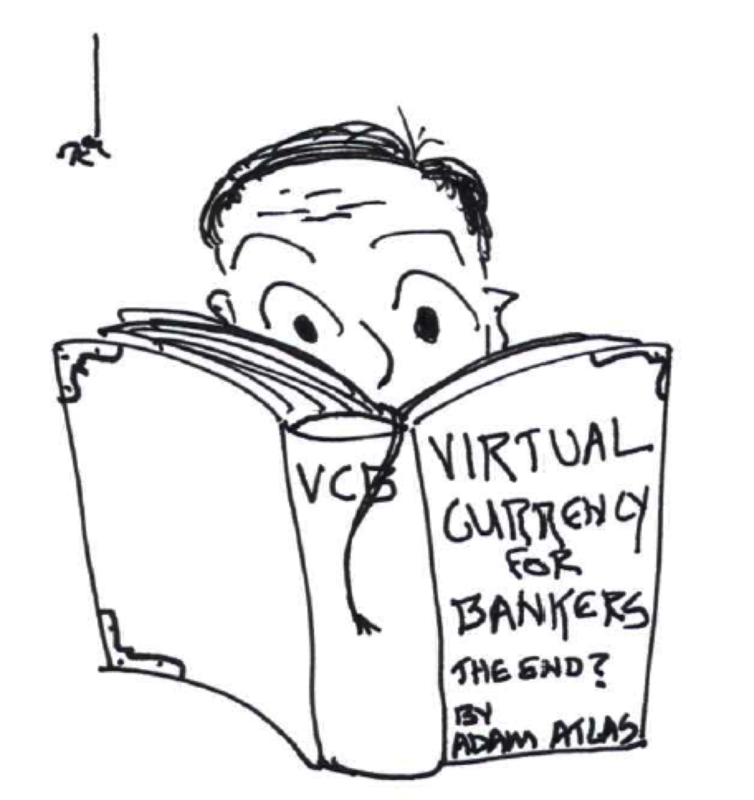 The contemporary disconnect between the reality of peoples personal and consumer lives, that are essentially instantaneous, and their banking activity that is subject to delays and fees that bear no connection to the cost of the underling service (transfer of digital value) sets the scene for virtual currency to now take deep root in the economy of the world. Our firm also has a subscription service through which clients can obtain an MSB risk assessment of various crypto models in all 50 states, updated monthly. Note that virtual currencies, such as Bitcoin have also been associated with substantial and very serious criminal activity, as in the case of SilkRoad, accessible through the anonymous browser Tor, as reported in the New York Times. The most popular virtual currency is Bitcoin. Bitcoin (比特币) is the leading virtual currency and is thought to be invented by a mysterious Japanese mathematician by the name of Satoshi Nakamoto. Bitcoin is a virtual currency that is more or less anonymous and de-coupled from traditional banking. Bitcoin is created by using CPU time and energy. The algorithm by which it exists dictates that there shall be no more than 21 million Bitcoin when all mining is complete – which has not yet occurred. This makes some believe that it is destined for a monumental and colossal leap in value as the supply comes to a definite halt. Bitcoin operates, de facto, largely in the unlicensed arena. 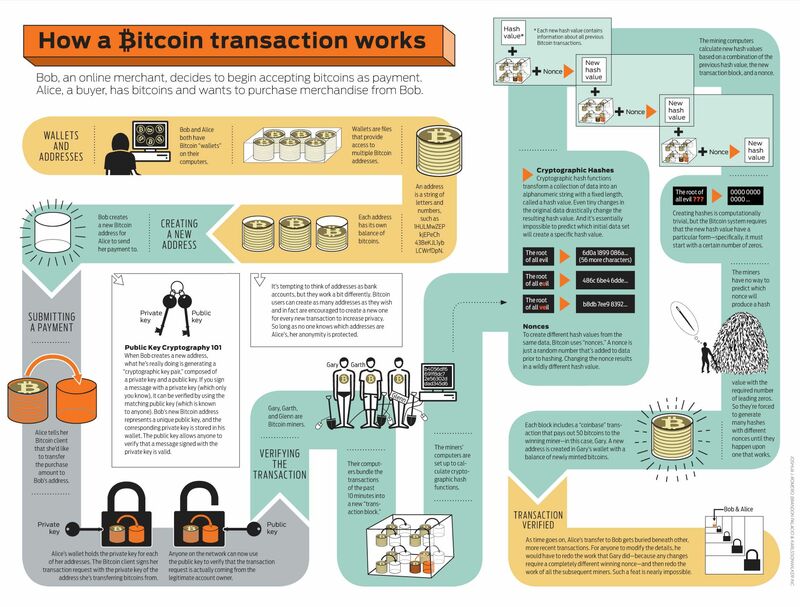 Here is a site that helps explain Bitcoin. The Bitcoin marketplace is interesting from an academic perspective, because it serves as a nexus for interesting debates between libertarians, anti-statists, statists, privacy advocates and others. The efficiency of Bitcoin, being a means for the free and secure exchange of value, poses challenging questions for (a) traditional banking that offers the same service, but at enormously higher costs; and (b) law enforcement that has a legitimate right to oversee suspicious activity in the financial system. There are competing visions for the future of Bitcoin. Some see it replacing ordinary currency, others see it as simply another currency destined to be mined for fees interest etc… like existing currencies. Like all forms of exchange, Bitcoin has value only because people believe that it does. Watch Bitcoin traded live and in real time here. A Bitcoin payment processor often allows a merchant’s customer to make payment in Bitcoin and then settles to the merchant in Bitcoin or real currency, such as USD. Two parts wishful thinking, one part fact: www.banksthattakebitcoin.com. Digital Certificates Representing Gold are like virtual currency and the operator of such business is an MSB, FinCEN-2015-R001, August 14, 2015. Related reading, E-Gold Case. Bitcoin payment processor is an MSB, FinCEN FIN-2014-R012, October 27, 2014. Virtual currency trading platform is an MSB, FinCEN FIN-2014-R011, October 27, 2014. Being the lessor of virtual currency mining equipment is not MSB, FinCEN, April 29, 2014. Bitcoin mining is not MSB activity, FinCEN, January 30, 2014. Investing in Bitcoin is not MSB activity, FinCEN, January 30, 2014. Virtual currency exchangers and administrators are MSBs, but users are not, FinCEN, March 18, 2013. July 6, 2015 California amends a proposed draft virtual currency business licensing law. April 2014 What you should know about virtual currencies by California DBO. Initial Coin Offering (ICO), Initial Token Offering (OTP) are like an IPO, but without the regulatory compliance of securities laws. It’s very easy to raise money with an ICO and there are hundreds of ICOs. The legality of a given ICO depends on a number of factors including whether the buyers expect a return on their investment. Is an ICO legal? Check our our ICO legal hit or miss list here to see how some of them are doing. Many ICOs are either securities or MSBs providing prepaid access. In order to escape one of those two classifications, quite a lot of legal thought needs to go into the piece. Is a neo-bank a regular bank with a better UI or something else entirely? Time will tell. Note that use of the term ‘bank’ or ‘banking’ is legally restricted to entities that are actually banks, so tread lightly with those terms. Why become an MSB with the need to be licensed in 49 states when you can get a single special purpose national bank charter? This is the opportunity presented by the Office of the Comptroller of Currency on December 2, 2106. For full instructions on how to get one of these charters, see the Comptroller’s Licensing Manual. Capital commensurate with the risk and complexity of the proposed activities (including on- and off-balance sheet activities). Because these banks do not make loans or rely on deposit funding, the OCC typically requires them to hold a specific minimum amount of capital, which often exceeds the capital requirements for other types of banks. Liquidity. In assessing the liquidity position of a proposed bank, the OCC considers a proposed bank’s access to funds as well as its cost of funding. Some key areas of consideration include projected funding sources, needs, and costs; net cash flow and liquid asset positions; projected borrowing capacity; highly liquid asset and collateral positions (including the eligibility and marketability of such assets under a variety of market environments); requirements for unfunded commitments; and the adequacy of contingency funding plans. The OCC is welcoming comments on the proposal until January 15, 2017 at specialpurposecharter@occ.treas.gov. Lots of discussion of this OCC proposal from American Banker, WSJ, Bloomberg and NYT, December 2, 2016. As financial institutions and gateways to the financial infrastructure, MSBs are expected to make appropriate provisions for cyber security. Most U.S. states will wish to see an MSB taking security seriously, but some have gone further and mandated that the MSB have a Cyber Security Program that meets certain prescribed criteria. March 1, 2017: New York MSBs must have a Cyber Security Program. Once licensed, the hardest task for a new MSB is to obtain a commercial bank account. If a bank refuses to bank you because you are an MSB, show them this guidance from FinCEN saying that banks are not supposed to reject clients just because they are MSBs. We believe that the following banks have, on some occasions, provided banking services to MSBs, you’ll have to ask them to find out for sure. We do not have any referral relationships with any banks, but if you call the above banks, please mention where you learned about them. It is a U.S. federal crime to process payments in the U.S. related to marijuana because marijuana is restricted under the U.S. Federal Controlled Substances Act, at Schedule I. Our firm does not advise on marijuana payments law. FinCEN has published guidance setting out the specific kinds of due diligence and risk assessments required of financial institutions that wish to service marijuana businesses. This is just the beginning of an evolving body of law that navigates between Federal and state law related to marijuana. January 13, 2016: The Fourth Corner Credit Union banned from US banking system. January 15, 2015: Colorado Fourth Corner Credit Union specializes in servicing the cannabis industry. December 18, 2014: Congress passes bill to prevent government spending on MMJ prosecutions in states where it is legal. It has become common for US merchants and marketplaces that service US buyers and sellers to collect US state sales tax and remit it to US state departments of revenue. There have been various efforts in the U.S. Congress to adopt national legislation on this topic, but none are yet in effect. Retailers and marketplaces, however, are not waiting as the penalties for non-compliance can be very substantial. A leading, automatic and free solution for this issue is TaxCloud. Some of the key national regulators are listed here. The Federal Mexican AML agency is Unidad de Inteligencia Financiera(UIF). Handbook sets out these requirements. All OCC enforcement actions can be obtained here. The regulatory framework for MSBs (money services businesses) in Canada is much simpler than in the United States. With some exceptions, there are few provincial licensing requirements. There is, however, a Federal agency called Financial Transactions and Reports Analysis Centre of Canada (FINTRAC) that requires registration of certain MSBs. The FCAC (like its US counterpart, the CFPB) was created to bolster regulation of consumer financial services, but its mandate has gone further into merchant-facing credit card payment processing, in part through the Code of Conduct for the Credit and Debit Card Industry in Canada. Payments businesses operating in Canada, should monitor CFPB regulations as they may creep into previously unregulated payments markets. In Canada, government has effectively outsourced protection of the financial system to banks. It is relatively easy to become registered with FINTRAC and licensed in the one Canadian province that requires MSB licensing, Quebec. Opening a bank account for an MSB, which is necessary for its operation, is however, very difficult. Be weary of Canadian banks that put MSBs through long account-opening procedures, sometimes lasting as much as a year, only to close the account because it is for an MSB. The Financial Transactions and Reports Analysis Centre of Canada (FINTRAC) is the Canadian equivalent of U.S. FinCEN. FINTAC has published some very handy guidance here. Quebec publishes regulations on the licensing of virtual currency exchanges. Quebec has become the first the ten Canadian provinces to enact MSB licensing requirements. As of January 1, 2013, all Quebec MSBs will require a license from the L’Autorité des marchés financiers – Quebec MSB Regulator to operate an MSB in Quebec. Other Canadian provinces have yet to enact similar legislation. For the moment, it appears that FINTRAC has decided that Bitcoin is not real currency, but don’t that this as legal advice, get a written confirmation from FINTRAC before operating in Canada. Note that operating a Bitcoin exchange in Canada that services US residents would require compliance with US law. April 1, 2014: Bank of Montreal, BMO, is open to banking Bitcoin subject to greater regulation. March 27, 2014: Canadian Senate Standing Committee on Banking, Trade and Commerce start to discuss virtual currency. February 2014 Quebec MSB regulator, the AMF, issues a warning about Bitcoin scams. February 2014: First Bitcoin vending machine in Montreal launched. January 16, 2014: WSJ says Canadian Department of Finance official says that only real currency is currency for Canadian purposes. November 5, 2013: Government of Canada says Bitcoin income should be reported as income, like barter. August 2013: Robocoin launches first Bitcoin vending machine in Canada and attracts worldwide press. In order to increase efficiency in the licensing of financial services in the European Union, the European Commission has enacted directives concerning financial services within the EU. For example, the EU E-Money Directive (2009/110/EV) (EMD) provides for the licensing of electronic money institutions and issuers which licenses are recognized throughout the EU. SEPA B2B Mandate Forms. These are the EU equivalent of a business ACH consent. They aren’t specific to payment institutions, but they are new in 2014 and frequently asked for. The Financial Conduct Authority (FCA) is the competent authority for most aspects of money services businesses in the UK under the Payment Services Regulations (PSR) of the Payment Services Directive (PSD). The UK implemented the PSD through the Payment Services Regulations 2009 (PSRs), which came into effect on 1 November 2009. The FCA is creating the Professional Body Anti-Money Laundering Supervision (OPBAS) to bring coherence to AML rules. Search entities registered with the FCA here. Authorised Payment Institution (Authorised PI): > €3million in payment transaction volume and/or entity wishes to passport into other EU States. €125,000: capital required for authorization as another payment service. Application for registration in the U.K. is pursuant to the The Payment Services Regulations 2009. Singapore must be included in any serious discussion of international payments. As Southeast Asia’s banking and commercial hub, Singapore has specifically catered to FinTech. The Singapore SVF is astonishingly easy to setup thanks to the efficacy of the MAS. That said, if you have an SVF and take on customers in the US, EU, Canada or other countries that license MSBs, make sure the entity is compliant with the local MSB / payment institution licensing and registration requirements. Getting ewallet banking in one jurisdiction does not make compliance with AML laws in other jurisdictions disappear. Here is some analysis of the various payment systems in France that we have published. Here is an article in a French law journal about Adam Atlas being one of the first lawyers who accepts Bitcoin. the institutional organizations of the State Council. According to the Reform, the regulator of banking industries and the regulator of insurance industry will be merged into China Banking and Insurance Regulatory Commission (CBIRC). The China Banking Regulatory Commission (CBRC) 中国银监会 used to regulate banks in China. restrictions on remittances (汇款) in and out of China. The Bank for International Settlements, that is like the Fed for the world, has a handy list of national banking regulators. When planning a payments business, it’s important to have a clear understanding of the flow of funds and who is taking risk on the loss of funds at each moment. Here is a sample 3D model to jog your imagination. You can also check out our www.paymentsbusinessideas.com. (a) Whoever conducts, controls, manages, supervises, directs, or owns all or part of a business, knowing the business is an illegal money transmitting business, shall be fined in accordance with this title or imprisoned not more than 5 years, or both. (3) the term “State” means any State of the United States, the District of Columbia, the Northern Mariana Islands, and any commonwealth, territory, or possession of the United States. With the benefit of the above bit of law, you can now read the following civil, criminal or other regulatory enforcement cases of interest. Simply selling Bitcoin IS Federal MSB activity US v. Stetkiw USDC February 1, 2019. Coinflux CEO to be extradited from Romania to US on money laundering and other charges, January 5, 2019. Bitcoin Exchange not Registered with FinCEN, guilty, USDOJ, October 28, 2018. Payza Obopay NYDFS Cease and Desist, October 24, 2018. Ukyo.Loan / BitFunder / WeExchange securities fraud DOJ, July 23, 2018. Payza and Two Canadian Brothers Accused of Operating an Unlicensed Money Service Business and Money Laundering, March 21, 2018. Western Union fined $60 million by NYDFS for money laundering rule violations, January 4, 2018. Consent order text. Woman jailed for buying and selling Bitcoin in Southern California, June 11, 2018. SEC concludes DOA ICO Tokens are securities, July 25, 2017. See FinCEN Notice. BTC-e, Russian Bitcoin Exchange shut down for money laundering, July 26, 2017. AlphaBay, largest online ‘Dark Market’ shut down by US DOJ, July 20, 2017. Coin.mx principal gets 5 years in jail for illegal unlicensed MSB, June 28, 2017. FinCEN and SDNY settle claim against MoneyGram Chief Compliance officer for $250,000, May 4, 2017. This is an important case because it sets a new precent in the personal liability of CCOs. Merchants Bank of California, N.A. assessment of civil money penalty by FinCEN for $7,000,000, February 16, 2017. Wells Fargo Bank, N.A. fined $100 million by CFPB for opening 1,500,000 bank accounts that may not have been authorized and other infractions. Liberty Reserve founder, Arthur Budovsky, sentenced to 20 years in prison for illegal money laundering, May 6, 2016. Gibraltar Private Bank fined $4 million by FinCEN for intentional AML BSA violations, Feb 2016. Transferwise could not rely on authorized delegate status in New Hampshire, February 22, 2016. Paypal settles for $7 million with U.S. Department of the Treasury for OFAC violations. BitInstant CEO Charlie Shrem Arrested for Alleged Money Laundering. The case was settled with a guilty plea. Bill.com transmitting money in Texas without a license, consent order. SilkRoad, the largely Bitcoin-based marketplace used largely for illegal products has its site and assets, including Bitoin, seized by U.S. Federal authorities, as reported in the New York Times. Square fined $500,000 by Florida for operating without a money transmitter license. Bitcion Foundation: June 23, 2013: California’s Department of Financial Institutions ceases and desist. May 28, 2013. Liberty Reserve is reported in the New York times as being accused of being responsible for laundering billions of dollars, conducting 55 million transactions that involved millions of customers around the world, including about 200,000 in the United States. Principals were charged with conspiracy to commit money laundering, conspiracy to operate an unlicensed money-transmitting business, and operating an unlicensed money-transmitting business. The money laundering count carries a maximum sentence of 20 years in prison, and the other two charges carry a maximum of 5 years each. May 28, 2013 FinCEN published a Notice of Proposed Rule Making concerning Liberty Reserve seizing its accounts and prohibiting other financial institutions from dealing with Liberty Reserve. 2013 was a big year in virtual currency law enforcement. You might say, VCBs earned their stripes in that year. On May 15, 2013, the U.S. Department of Homeland Security seized some assets of Dwolla, a popular payment processor for Mt.Gox, the world’s largest Bitcoin exchange which is based in Japan. The amount of this seizure is reported to be $2,900,000. Here is the seizure affidavit: Mt Gox Dwolla Warrant 5-14-13. You can also reach us through www.moneyservicesbusiness.lawyer or www.law.money. Here are some notes from a recent payments regulation conference. The best place for fintech law. fintech.law ® is a registered U.S. trademark of Adam Atlas Attorney at Law. 1. Agent-of-the-payee up for comment in California: On February 8, 2019, the California Department of Business Oversight published an invitation for comments on possible amendments to the California Financial Code / Money Transmission Act concerning the agent-of-the-payee exemption. The exemption allows agents of the payee to be exempt from money transmitter status if they meet certain specific criteria, including contracting with the payee and accept funds for goods or services sold by the payee and received by the payor. The good news is that the exemption itself is not on the chopping block. Instead, DBO is wondering whether key defined terms should be narrowed or more precisely defined. Specifically, “goods or services” and “receive”. The invitation distinguishes between the types of goods sold at online marketplaces like Amazon and Airbnb (see agent language for each) and other goods sold at (perhaps less popular) marketplaces that handle housing, real estate, insurance etc… Any attempt to distinguish between one kind of payee, giving some the right to the exemption and others not, will create a flurry of requests for guidance and, perhaps, niche processors that try to walk a line between permitted processing and processing that needs a license. The deadline for comments is April 9, 2019. Agent-of-the-payee is expressly available in only a handful of states, tolerated in many other states and downright confusing the the remainder of states that take a case by case approach. At least under the BSA, the availability of the exemption is fairly clear thanks to guidance produced as a result of an enquiry by our firm. 2. Florida Bitcoin Sellers Need MSB Licenses: In the long-observed Espinoza case, on January 30, 2019, the Florida Court of Appeals has ruled that simply selling Bitcoin in Florida was equivalent to selling payment instruments and therefore requires MSB licensure under Florida law. The court held that, unlike the BSA, the Florida statute does not require transmission to a third party for MSB activity to occur. The case yields the awkward outcome that Espinoza was not an MSB under the BSA but was one under the Florida statute. This ruling contradicts a number of guidance letters from the Florida DFS holding that merely selling Bitcoin was not MSB activity, including the cases of Grapefruit and Cryptobase. 3. All Bitcoin Sellers Must Register with FinCEN as MSBs: In direct contradiction of the Espinoza case, the February 1, 2019 case of US v. Sterkiwheld that a mere seller of Bitcoin was an MSB under the BSA. Not only does this contradict the Espinoza case but it also puts in jeopardy FinCEN’s guidance exempting investors, who buy and sell for their own account. 4. Quadrega.ca Security Policy Case Study. The now defunct virtual currency exchange, Quadega.ca, fell apart because its CEO passed away in India with private keys controlling $250 million of crypto. This is a case study in why payments companies (not just crypto exchanges) need security policies and disaster recovery policies. It goes without saying, that no single person should have the unique keys to substantial reserves of client assets. Adam Atlas Attorney at Law is licensed in New York and Quebec. This email is ATTORNEY ADVERTISING. Nothing in this e-mail should be construed as a legal opinion or commentary on laws other than in the two jurisdictions where the author is admitted. 1. Can a money transmitter license be rented? No. Licensed MSBs, such as money transmitters are licensed based on their specific business model, financial position, AML procedures and overall compliance profile. Some licensed money transmitters will, however, appoint authorised delegates or agents that assist in operating their licensed business. Here are money transmitters licensed in New York and California. 2. Can and ISO Aggregate? Sort of. In the old days, ISOs had to treat merchants as stand-alone entities, each getting their own unique merchant account. The new Payment Services Provider (PSP) concept has allowed ISOs to step into the shoes of acquiring banks and actually create sub-merchants and MIDs for each of them. The PSP remains liable for the transactions of each of the sub-merchants, but the PSP has the ability to quickly board merchants. See, for example, Square, Stripe and WePay. 3. Why isn’t ApplePay an MSB? Good question. It looks like ApplePay has managed to soak up all four corners of a payment transaction, less only the settlement of funds. It stores and tokenizes cardholder data, merchant transaction data within a proprietary gateway. Apple might eventually have to slog through the licensure process like everyone else in at least some states that cast the net wide on what constitutes money transmission, like Maine. 4. How much is your payments business worth? Generally, a multiple of the monthly revenue net of agent payouts. You should also look at the residuals on a static pool of clients. For example, look at the monthly revenue on your clients of one year ago and compare that to the revenue on those same old clients today. The difference between those two numbers is called ‘attrition’. You’ll want attrition to be as low as possible. There are many other factors, but concentration of clients of one kind or another will put downwards pressure on valuations. 5. Is Bitcoin Illegal. No it’s not. Just like other forms of barter, it is not illegal to sell goods or services in exchange for Bitcoin. For example, a merchant selling computers can sell a computer for Bitcoin and not be in breach of the law. Where legal issues arise is on the accounting and tax treatment of the Bitcoin received and the process by which, if any, the merchant then elects to turn the Bitcoin into ‘real’ currency. Virtual currency exchanges, being businesses that exchange Bitcoin for real currency are also likely to need MSB licensing. ETA. Our next show is the acquiring industry’s annual gathering, Transact15 March 31-April 2. Adam Atlas Attorney at Law is licensed in New York and Quebec. Nothing in this e-mail should be construed as a legal opinion or commentary on laws other than in the two jurisdictions where the author is admitted.